Get this Bamboo 3-Piece Cutting Board Set for Only $11.99! Down from $40! Less than $4 for each board! 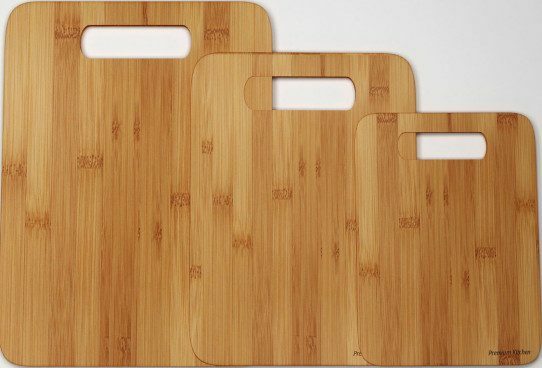 Bamboo gives you a smooth, hard butcher block surface – ideal for all your cutting board uses. Won’t warp, crack, split, or chip! Bamboo is durable and long lasting! Microbes can’t live in bamboo like they do in other wood cutting board. The surface won’t grow dangerous bacteria.